Tattoos can be really beautiful. But they should be safe - and they shouldn't affect your health! There are lots of things that I love about tattoos. I love it when they're beautiful, like the one in the picture on the left. And I love that they're being used to camouflage mastectomy and c-section scars. They can disguise areas of discoloration and stretch marks. 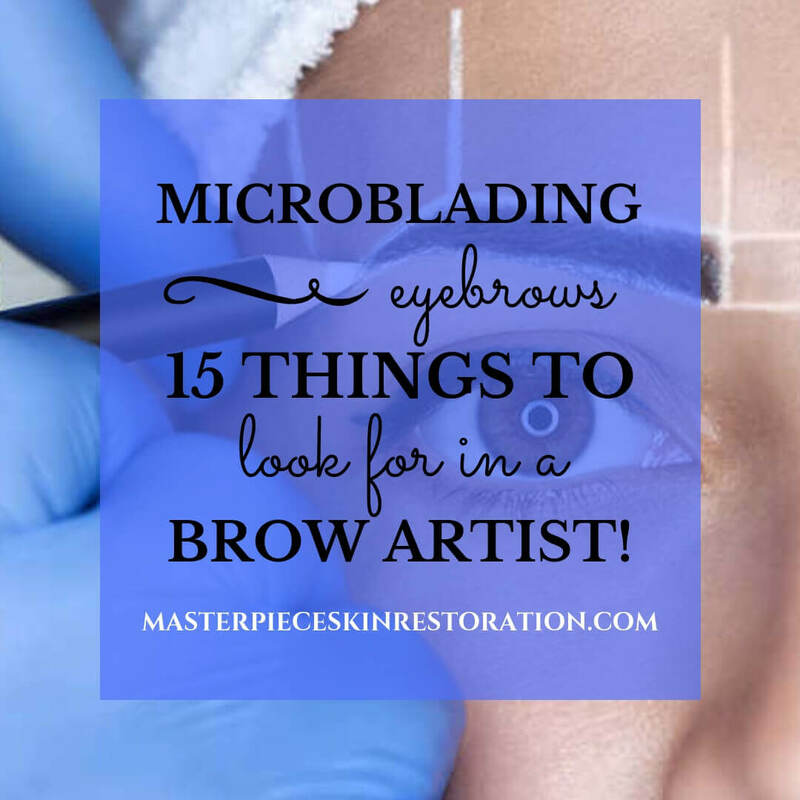 And microblading makes people VERY happy. But I'm convinced that tattoos aren't healthy. And I really don't like that there's not more good - easy to find - information available about how they affect your skin and health. I'd like to tell you how I came to this conclusion. Initially, I became interested in tattoos because I wanted to start a tattoo removal business. I'd negotiated a purchase price for a laser with a laser manufacturer. The office was ready to go. I had electricians coming in to rewire the office (because lasers use a LOT of electricity), etc., etc. But as I read more about laser removal, I found things that bothered me. The inks used in tattoos are not regulated by the FDA. Some of the inks used contain heavy metals and chemicals known to be toxic. Red inks in particular seem to cause lots of problems. One article talked about finding ink in the lymph nodes of people who had laser removal. This is alarming because the lymph nodes are an important part of your immune system. They filter out harmful substances. They also contain immune cells that help your body fight infections. There wasn't much information available about any of these things. But there was just enough to make me uncomfortable. So I canceled the order for my laser and concentrated on skin rejuvenation instead. That was in 2015. It's been a couple of years now, and more information is available. Here's what I've found. 1. Tattoo inks still aren't regulated by the FDA. They're not all safe. The pigments used can be made from things like printer inks or car paints. “If the ink is really bright in color, it usually contains dangerous stuff,” says Jens Bergström, an artist for 20 years and owner of Heavenly Ink Tattoo & Piercing studio in Åkersberga, Sweden. The European Union Science Hub did a study on the safety of tattoos and permanent makeup. They found polycyclic aromatic hydrocarbons (PAHs) like benzo[a]pyrene which is found in coal tar and is considered a human carcinogen. Their report goes into more detail. The PAHs are found mostly in black inks and can migrate from your skin to your lymph nodes. Tattoo inks can also include chromium, nickel, copper and cobalt - which can also be harmful. Azo pigments are organic pigments that make up about 60% of the colorants in inks. When exposed to UV light (sun) or exposed to bacteria, the pigments can degrade into another potentially cancer causing form, primary aromatic amines. Preservatives in the inks aren't always safe. The publication, Chemical & Engineering News cites a Swiss study. 229 inks were analyzed. Of those nearly 1/4 contained the antiseptic benzoisothazolinone, a known skin irritant. 7% of the inks contained formaldehyde. The U.S. E.P.A. classifies formaldehyde as a "probable human carcinogen." National Cancer Institute researchers have concluded that, based on data from studies in people and from lab research, exposure to formaldehyde may cause leukemia, particularly myeloid leukemia, in humans. 2. Tattoo Infections can come from many places including your artist or ink. The most common infections are caused by bacteria; but people get fungal and viral infections as well. Dr. Marie Leger, a dermatologist at the New York University Langone Medical Center in New York City, noticed more and more people were coming to her for problems with their tattoos. Wondering just how common the problems were, she did a survey. Dr. Leger randomly chose 300 tattooed people in Central Park. She asked them if they'd had any problems with their tattoos. About 10% had had complications. Some had short term complications: bacterial infections at the site, temporary swelling, and itching. Of those who had complaints, 6 in 10 had long term problems. Many had unpleasant itching or swelling for years. Only a few had had their problems checked by a doctor. The New England Journal of Medicine (September 13, 2012) reported an outbreak of Mycobacterium chelonae infections in Rochester, New York. It was found that the ink used - even in unopened bottles - was contaminated. And similar investigations in Colorado, Washington and Iowa showed harmful bacteria in 3 other brands of ink. Twenty-two (and possibly even more) skin infections across 4 states were linked to the contaminated ink. The strain of Mycobacterium found is related to tuberculosis and leprosy. In people with normal, healthy immune systems it's usually harmless. But when it gets underneath your skin, it can cause a painful rash that lasts for months. In cases like these, it takes strong antibiotics and sometimes surgery to kill this bacteria. A 2010 study done at the University of British Columbia found that people with several tattoos, or tattoos that cover large areas of their bodies, have a higher risk of hepatitis C and blood borne diseases. Since then, many states - but not all - started regulating body art. They require artists to be licensed. The Red Cross must feel these regulations are working. Before the regulations, people with tattoos had to wait 1 year before donating blood. Now, there's only a waiting period if your tattoo was applied in a state that DOES NOT require sterile needles and single-use ink. Those states are Georgia, Idaho, Maryland, Massachusetts, Nevada, New Hampshire, New York, Pennsylvania, Utah, Wyoming, and the District of Columbia. There aren't good statistics on tattoo-related skin infections and safety because all reporting is voluntary. 3. "People can develop allergies to their tattoos," says Dr. Leger. She's seen patients - who had no allergic reactions with their first tattoos - develop an allergy after their second or third. And these allergies can be hard to treat. Dr. Leger recommends topical steroids and steroid injections. But in extreme cases, the tattooed skin has to be surgically removed. In an article for LiveScience.com, Leger describes one patient who had gotten a red tattoo years before. When the woman got a second tattoo 10 years later, the red parts of both the new and the old tattoo became itchy and red. If you feel you might be allergic to your tattoo, you should see a doctor experienced in removal. Lasers work by breaking the ink up so that your body's immune system can flush it out of your system. So if you're allergic to your ink, laser removal isn't a safe choice for you. “There have been case reports of tattoo removal in certain kinds of ways that can cause anaphylactic reactions (a life-threatening allergic reaction),” says Dr. Leger. "It can be very difficult to manage someone who has an allergic reaction to a tattoo. Often, we try to manage the reaction with topical or injected steroids; however, we don’t remove allergic tattoos the same way we remove regular tattoos. The reason is because there have been case reports of people with allergic tattoos who have had immediate hypersensitivity reactions, including anaphylaxis (a life-threatening allergic reaction); so we are always cautious when treating them. We usually remove allergic tattoos surgically. Another way to remove them that looks promising is with repeated treatments using ablative fractional lasers." There's a new way to remove tattoos that doesn't require lasers. Read more about it in our post about Trans Epidermal Pigment Release (TEPR). It's A New, Safer Way to Remove Tattoos. 4. Tattoos can hide skin cancers like melanoma, basal cell carcinoma, and squamous cell carcinoma. That's a problem because with skin cancer, early detection is important, says Dr. Leger. Another health problem arises with laser removal. Pigments are broken up by the laser then transferred to the lymph nodes. Sometimes the pigments in the draining lymph nodes get confused with cancer. Tattoos have been very hard to pinpoint as a direct cause of skin cancer. When you consider the huge number of people who have them and the very few cases of skin cancer, any association may be purely coincidence. But there are occasional cases that make you wonder if they might have some link to cancer. 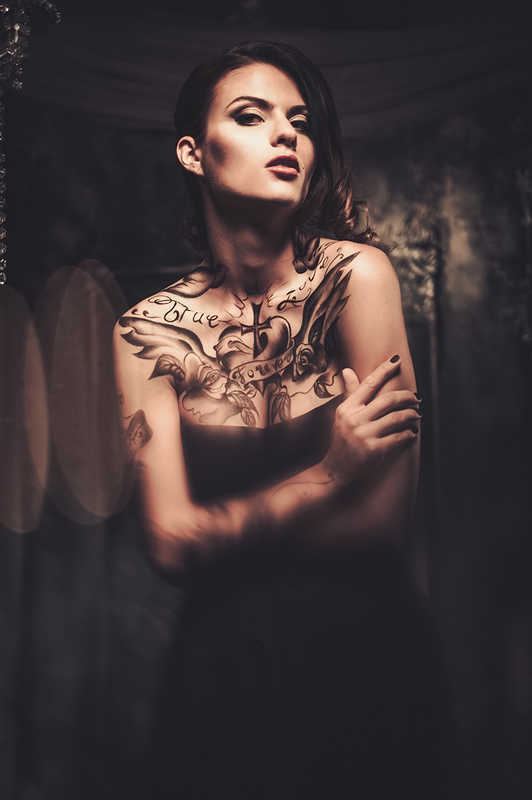 “The process of tattooing involves the integration of metallic salts and organic dyes into the dermal layer of the skin,” says Cormac Joyce, a plastic surgeon at University Hospital Galway in Ireland. Those salts and dyes could cause low-grade, chronic inflammation that leads to “malignant transformation” (like skin cancer). 5. Sun exposure can cause the inks to "break down into an allergic compound," says Dr. Leger. When this happens, it's called a photoallergic reaction. The sun causes swollen, red, and itchy spots on the tattoo. Red pigments are the most likely cause of this kind of reaction. But other colors cause problems too. Yellow ink causes photoallergic reactions - the cadmium found in the ink is the cause, says Leger. In a 2014 Danish study, researchers interviewed sunbathers with tattoos. 42% of those interviewed had adverse reactions. More than 1/2 of the reactions (swelling, itching, and redness) were related to sun exposure. Most occurred in people with black, red and blue ink. 6. MRI burns can happen in people with tattoos. "If the tattoo is in the shape of a loop, it can act like an antenna, and can also get increasingly hotter as the ink pigments pick up more energy from the magnets, according to Moriel NessAiver, a physicist who teaches MRI safety in Baltimore. The reaction can result in swelling of the tattooed skin and its surrounding area, as well as the flesh feeling hot and irritated." The most serious adverse reactions have been 1st and 2nd degree burns. So what do you do if you have a tattoo and need an MRI? Tell your doctor and the MRI techs about your tattoo. If your ink doesn't have any iron in it, you should be ok.
7. A study by Luetkemeier, Hansiko and Aho in 2017, found that Tattooed skin sweats about 50% less than ink free skin. In the study, the sodium in sweat was more concentrated on tattooed skin. When you sweat, your skin reabsorbs sodium and other electrolytes from your perspiration. Tattoos may block some of your body's reabsorption. It shouldn't matter much if you have 1 or 2 small tattoos. But if large amounts of your skin are covered, they may interfere with your body's ability to cool itself. This is especially true if you have tattoos on your back, arms, or another area with lots of sweat glands. Because the study was done on only 10 men, more research is needed to prove the theory true. 8. Particles from tattoo ink travel from the skin to the lymph nodes - where they get stuck. Until now, there was only circumstantial evidence to prove this. “Physicians had seen that lymph tissue of tattooed people was colored,” says Ines Schreiver, a researcher at the German Federal Institute for Risk Assessment in Berlin. But we needed more details about the pigments in the lymph nodes. Schreiver and her colleagues ran tests using mass spectrometry. They tested skin and lymph tissue of 4 deceased tattooed individuals and 2 ink free individuals. They found the same organic pigments, including pthalocyanines and azo compounds, in the skin and lymph samples of the tattooed people. They also detected higher levels of inorganic elements in both the skin and lymph nodes of the tattooed subjects (compared to the ink free subjects). The elements found included titanium, aluminum, chromium, nickel, and other metals. Some of those elements can be used in inks as preservatives. Some are ink contaminants and some are toxic. “This is hard proof that what you find in the lymph is from the tattoos,” Schreiver says. Furthermore, the investigators found that the same kinds of particles appeared in both the skin and lymph tissue. However, the size of the particles in the skin was larger than the size of the particles in the lymph tissue. “It is logical that the tinier the particles are, the easier they migrate,” Schreiver says. The study was published in Scientific Reports in September, 2017. More studies are still needed to see if the pigment particles go further in the body - particularly after laser removal. Can they cause health problems like cancer? 9. Artists get lots of questions about tattoos & skin conditions - but almost 1/2 haven't had any training on this topic. 90% of the artists were interested in receiving more formal training on tattooing with preexisting conditions. “Our study and my experience shows that tattoo artists are often asked these questions, and are very interested in learning more about them,” says Dr. Leger. So why aren't people told about the risks that come with tattoos? "As a doctor, if you do a cosmetic procedure, by law, you have to tell the patients the risks. It’s amazing that the same is not [universally] required in tattooing." Because more and more people are reporting reactions, the FDA is now studying ink safety - and how it affects your health. “We are facing a tremendous knowledge gap. This is why it is so difficult to develop regulations,” says Dr. Serup. People with skin conditions like eczema and keloid scars (scars that grow larger than the original wound) should avoid tattoos altogether. They can make eczema worse and they can cause skin deformities in people with keloid scars. Contact your state department of public health to find out if artists and their studios are licensed or registered in your state. See if it's possible to get a list of licensed / registered shops. Ask if any complaints have been filed against them. Only use parlors registered by local jurisdictions. Don't rely on certificates of safety / health inspections posted on the walls of parlors. They're easily faked. Get recommendations from several people who can vouch for a shop's cleanliness and quality. Visit the parlor you're considering before setting up an appointment. Make sure it's clean. The cleanliness and safety standards vary. Request references from any artist you're considering. Ask the artist questions about their sterilization techniques and policies. He or she should use new, single use needles with disposable gloves and masks. The artist should open new, unused containers of ink for each tattoo. Make sure your artist uses sterile water to dilute the ink and to clean equipment. Request inks that are made specifically for tattoos. Ask your artist how he or she sterilizes equipment. The correct answer will be, "We use an autoclave to sterilize equipment between clients." If you develop an infection, see a dermatologist right away. Notify your artist and the FDA's Medwatch program about your infection. Safety Means Caring for Your Tattoo. Most parlors will give you a handout on cleaning and caring for your tattoo. Read it carefully and follow the instructions. In general, while your skin is healing, you should apply an antibiotic ointment. Stay away from lakes, pools, and hot tubs until your skin has fully healed. Avoid touching or picking at scabs. ALWAYS keep your tattoo covered in SPF 30 (or higher) sunscreen. If you need an MRI, tell your doctor and the MRI techs about your tattoo. If your ink doesn't have any iron in it, you should be ok. This post isn't meant to scare you. Most people get tattoos they love. They don't get horrible allergies or awful side effects. It's a testament to the skill and care of artists who are excellent at their craft. And to your body's ability to resist infection! I hope this post helps you to find that amazing artist that holds himself / herself to a higher standard. Tattoos are really beautiful. They shouldn't make you sick! Just FYI, there's a new tattoo removal patch that's making laser removal SO much better. Read more in our post about the PFD patch. How have your tattoos been treating you? I'd love to hear! Drop me an email: amy@masterpieceskinrestoration.com.